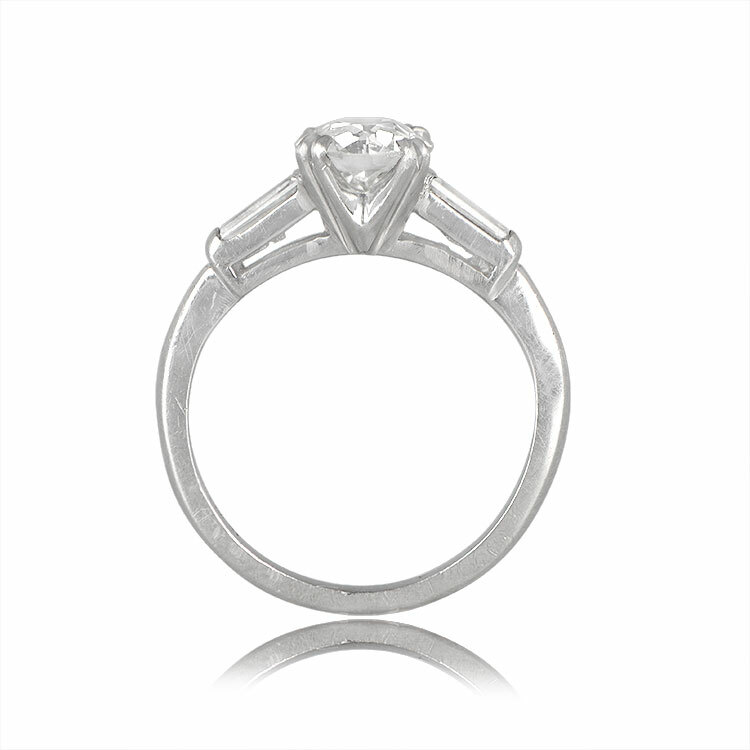 A beautiful Diamond Vintage engagement ring set with an Old European Cut diamond. 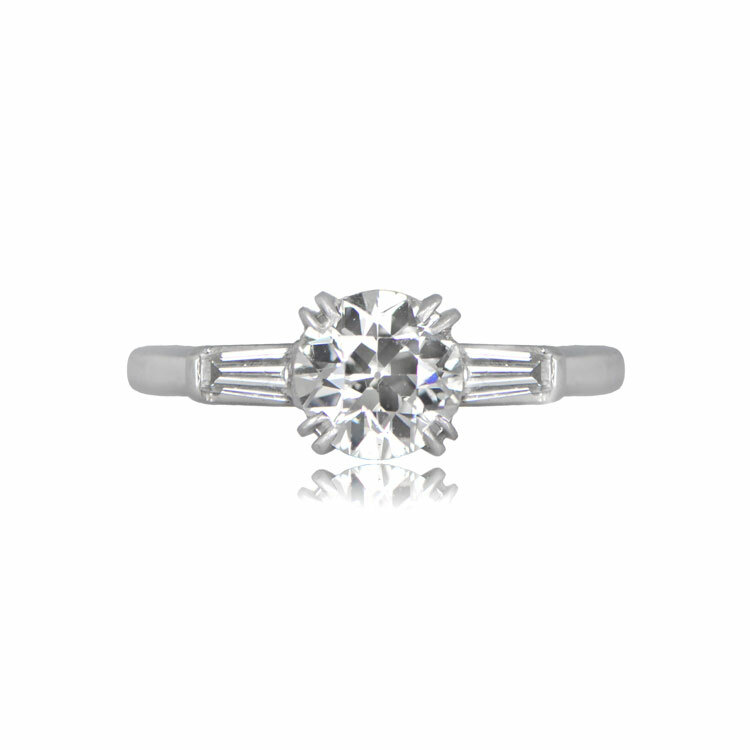 The ring features two baguette cut diamonds that sit on the shoulders of the stunning handmade platinum setting. 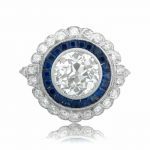 The center diamond is certified by the UGL as 0.91 carats, J color, and VS2 clarity. 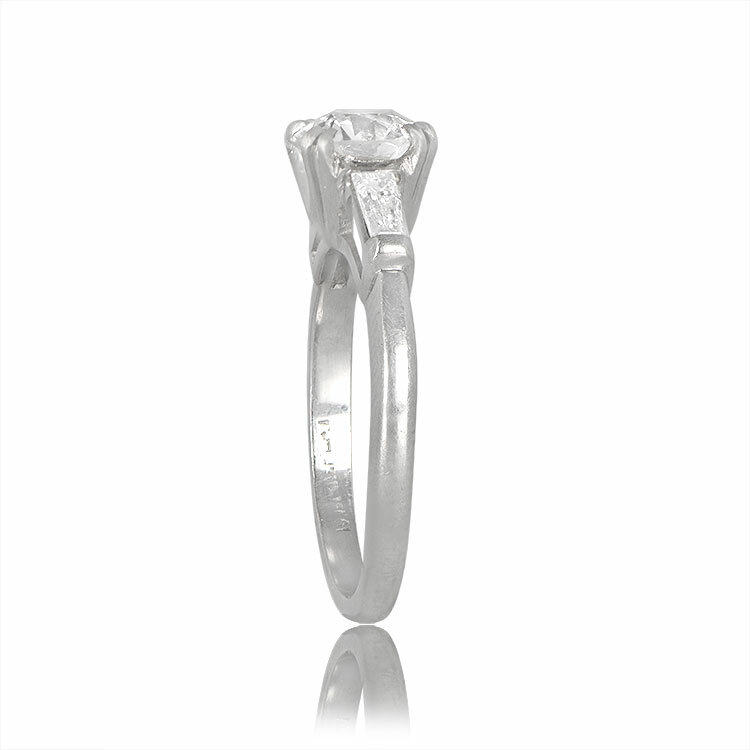 This spectacular ring conveys understated elegance in its simplicity. The diamond dates back to the 1920s and the mounting is circa 1950. 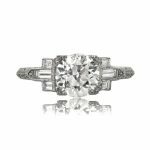 SKU: 11941 Categories: Old European Engagement Rings, Vintage Engagement Rings - Contact us and request additional pictures.